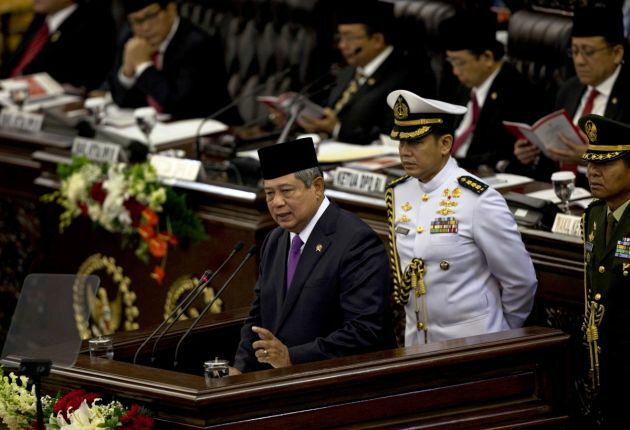 Indonesian President Susilo Bambang Yudhoyono has joined the mounting call to action against Islamic State militants, saying their actions are an affront to the spirit of Islam. Yudhoyono said the extremists must be stopped as their influence has started to spread from the fringes of Syria and Iraq to Indonesia and Australia, among other places. He called on the international community to take decisive steps to prevent this brand of violence from further spreading. "This is a new wake-up call to international leaders all over the world, including Islamic leaders," he said in an interview with The Australian newspaper. "All leaders must review how to combat extremism. Changing paradigms on both sides are needed - how the West perceives Islam and how Islam perceives the West," he continued. Yudhoyono expressed shock over the string of latest actions by IS militants, who released a disturbing video online showing a masked rebel cutting the head of American journalist James Foley. "It is becoming out of control," said the president. The brutal beheading spread like wildfire online, as world leaders condemned the latest atrocity by the militant group, formerly known as the Islamic State of Iraq and the Levant and now known as the IS. "We do not tolerate it, we forbid the ISIS in Indonesia," Yudhoyono said. "Indonesia is not an Islamic state. We respect all religions." Indonesia is the country with the world's biggest Muslim population at about 225 million. The government has long dealt with terrorists, with a successful clampdown in the past years preventing major deadly attacks in the Indonesian archipelago. The president, whose decade-long term ends in October, said he was concerned about the return of Indonesians who slipped into the war zone of Syria and Iraq to fight. Earlier this month, he formed a group within his government to prevent extremist ideology from spreading in Indonesia. "Our citizens here in Indonesia are picking up recruitment messages from ISIS containing extremist ideas," he said. "The philosophy of ISIS stands against the fundamental values we embrace in Indonesia. Last Friday, in my state of the union address to the nation, I called on all Indonesians to reject ISIS and to stop the spread of its radical ideology." He said security agencies in Jakarta have begun to stop the spread of the IS influence in the country. The government prohibited Indonesians from joining the IS or to fight alongside it. It likewise sought a ban on IS teachings in its cyberspace.